Touring is a strange experience. There are disappointments and surprises. The audience you expected wasn’t there, but those shows usually end up being the best. I didn’t expect I’d see these cities. Frankfurt in the rain, or falling asleep in the back of a car in Basel, waiting for a show to start. You wake up and you’re in a different place, or already moving on to the next before you can experience the place. When you run your own label, you can create your own banner year for releases. Such is the case with William Long, and his Two Acorns label—fresh off of the masterful How Could You Believe Me When I Said I Loved You When You Know I’ve Been A Liar All My Life, Long has returned with the digital release Tempelhof, inspired by his travels on tour across Europe. Recorded in 2013 and mixed over the last two years, Tempelhof shows an eerie sense of slow motion grandeur that conjures of the feeling of being displaced in a strange land time and time again. “You wake up and you’re in a different place, or already moving on to the next before you can experience the place,” he says in the liner notes on the album’s Bandcamp page. Similar to a number of ambient, experimental, and drone releases, Tempelhof is a pure headphone record—sure, you could listen to it over a stereo, but then you’d miss out on the fully encompassing moments of the opening tracks—“Light Inside and Ahead” and “Deck Allusion”; both of which completely envelop the listener as their respective tones and rich layers unfold. As an album, Tempelhof ebbs and flows—between each longer piece are interludes, like transferring at a train station, and each segment nearly segues into the next. Between “Deck Allusion,” “Night Train t Berlin,” and “A Single Quantum Event,” the same tone and atmosphere is sustained throughout all three before it slowly fades away. Like all good ambient and experimental music, Tempelhof works to create a feeling—it’s a calming, reassuring record. Even though each piece has a very similar sound, there are enough subtle differences throughout the overall warm feeling that this set give off as a whole that make it a worthwhile, evocative listening experience. Darkened cities you never thought you’d ever see speed past in an instant. During the day, you may get a sense of the place, but you don’t always get a taste of the place, of the culture and of the country as a whole. After the performance, you quickly move on. 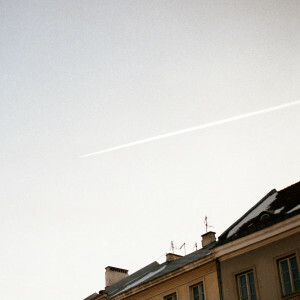 Tempelhof was recorded on Will Long’s 2013 European tour that saw him travel to the UK, Germany, Switzerland, Poland and Russia. After that, Tempelhof returned to Japan for subsequent mixing. Celer continues in beautiful fashion a long-running discography written by an artist versed in high quality ambient music. Tempelhof is the sound of Europe; of cold fields, of stunning architecture that you’ll only ever see once (and only for a couple of seconds as you drive past), a stranger in an unfamiliar and yet open country on a continent connected by 12 golden stars. The subway is a warren you could lose yourself in, and the maps are a confusing series of dislocated lines written in a foreign language and designed for a native pair of eyes.New friends are made, and you’re introduced to other artists. You return home, and even though your tired, aching body tells you differently, the touring experience doesn’t feel like yesterday – it feels like another lifetime. Back home, life is impossibly different. Lagging tones surround Celer’s music. A deep, satisfying warmth radiates outwards. For most of the time, the ambient-tinted atmosphere is as delicate as a flow of passing air. The clear-eyed tone is an extremely fragile one, like a decade-old memory. Interludes segue with the longer tracks; the field recordings stand for minutes at a time as if waiting on the platform for their train and their next destination. Like EU borders, the segments dissect the main drones, keeping the ambient music localized. The beautifully warm ambient swells of “Lights Inside and Ahead” capture and purify the soul of the place, but it’s a fleeting sanctuary. Tempelhof is a record in constant transit. “Associations With the Same Intention” remembers its journey well. This gentle, lovable ambient layer has a nostalgic feel deep inside its heart, recalling a lovely, warm evening in a pretty country thousands of miles away from home. “Ends That Come As Quickly As Beginnings” is as quiet as falling snow. One by one, the notes settle on the ground, covering the music in a sleepy wash of pure white. The streets of Poland fade into Russian blocks as the cold, creeping temperatures invade. Another country calls. Outside, another field blurs against the cold glass of the window. Using his Celer moniker, experimental musician Will Long has been responsible for creating some of the most moving ambient music of the decade. On his latest releases ‘ two records released close to each other but not musically connected ‘ Long continues to churn out delicate pieces of both drifting hums and orchestral swells that never stop feeling engrossingly personal. Both the subtle clarity of the more classically ambient Soryu and the majestic washes of Tempelhof are mesmerizing in their own ways. Combined, they create a truly unparalleled journey of and for the soul. An incredibly prolific musician, it seems daunting trying to keep up with the Celer catalog, but those who do will find themselves rewarded with album after album of moving moments. Now based in Japan, the American musician’s life has brought him to different parts of the world, both for work and as places which would inform his music. A few years ago even saw the 34-year-old living in Jakarta as an English teacher and creating an album that included field recordings of the city’s audible grind. That mix of visceral field recordings and thoughtful analog processing makes the basis for the majority of Celer’s output. Taken at face value, listeners too used to these kinds of music may find themselves at a loss trying to distinguish between the records, but those with the patience and thirst for disquieting arrangements will easily experience each Celer album and the songs breathing very specific narratives. Recorded on tour through Europe and Asia, Tempelhof is a more outward journey, whereupon layers of reel-to-reel loops and analog synth work flourish in and out of each other to create walls of gently moving string-like swells. Each of the drone-styled tracks are intertwined with field recordings of spaces and places that include Frankfurt (‘Transfer to Frankfurt’), Berlin (‘Night Train to Berlin’) and Beijing (‘Layover in Beijing’). This creates a vivid, yet dreamlike clarity to the album, which ‘ like the majority of ambient/drone albums ‘ works best when listened to as a whole, not piece-by-piece. The manner in which ‘Night Train to Berlin’ shifts into the endless crescendos of ‘A Single Quantum Event’ is a mesmerizing emotional shift that is again repeated with how the casual airport announcement of ‘Layover in Beijing’ creates a specific visual before letting the minimalist movements of ‘Associations With the Same Intention’ glide through. Tempelhof‘s majestic closer, ‘Ends That Come As Quickly As Beginnings’, announces its melancholy through its title and delivers whispered, faraway hums that sound like a long-lost choral recorded under an oceanic dome. The more careful nature of Soryu is more difficult to assign a specific feeling to. Diligent swells drifting between each other like winds ghostly echoing through an empty house, the one-hour-plus track that makes up the whole album is about setting up a mood that shifts between the thoughtful and the carefree, the pensive and the expressive. Soryu‘s melancholiac pinnacle comes at its 20th minute, as hovering feedback and hums collide as one, before landing into ground-like low hums close to its 50th minutes. It is a not an album to be heard as much as felt. Spending time with Tempelhof and Soryu ‘ or any Celer release (both albums are available in physical and digital formats through celer.bandcamp.com) ‘ require a necessary amount of emotional preparation that not everyone may be accustomed to. In each case, patience is indeed a virtue, but even more so is a wanting for music that transcends conventional delivery and is crystal clear in its emotional narrative. It’s never easy, but the rewards are transcendental. live. I would think that much of what Celer is laptop generated and therefore (I might be wrong, I am the first to admit) also in concert a laptop act. But what’s wrong with that? Or why would I even bother about that? I shouldn’t. I was lying on the couch for a while, having this music on repeat (which seems I do whenever something new from Celer drops in) and I wasn’t doing much else. I would say that it is exactly what this music should do. Evoke a state of nothingness and that is something that Celer does very well. Another beautiful release.